For the last few weeks I've been moving into this house because no matter what I do I never seem to be ready for a "moving day." Of course, that means the pets always know something is up ahead of time. 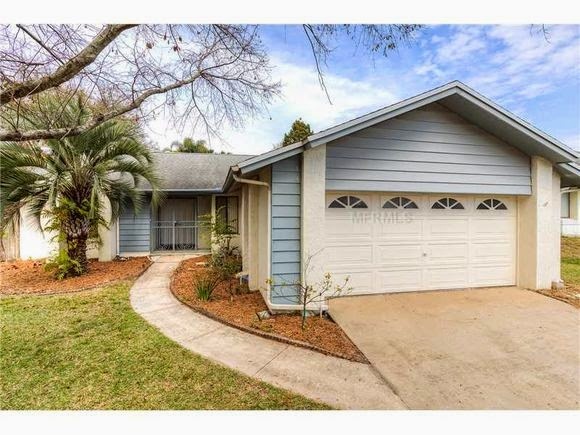 Spring is selling season, so that people can move in summer (why anyone would want to move in summer in Florida, I don't know). This is what the realtors tell me. Start slow if you can. Pack ahead of time, a couple boxes a day. A lot of stuff at once can stress your pets out. If your pet needs to travel in a crate or carrier and doesn't normally travel, you might want to get them acclimated to the crate. Put something soft inside that they like. Maybe some food. Let them sniff and get comfortable. This one I didn't do with Galadriel. It's always a mistake not to do that. Give them lots of attention during this time. Let them feel like nothing bad is going to happen to them. Also, try to stick to their routine as much as possible. And... if you get the place ahead of time, bring them over if you can. Let them sniff around. I let Lulu sniff around the house and even the pool. Intrigued but not interested in going for a swim. Put your pet in a safe place with things they like. Lulu and Galadriel went in my bathroom and they had some of their favorite toys and things. Don't let them out unless you are ready to go. You don't want them to accidentally get out. Bring them with you. Try not to leave them in an empty space alone overnight, even if they have everything they need. You've taken away their things and changed their home, and you are not there. Once you're in the new place, have a safe spot for them to stay while you are moving things in. Lulu enjoys her Fozzie Bear in the living room, as Galadriel looks on. Getting acclimated to new surroundings is not the only thing pets need to do in a new home. It can also mean a change in routine. New places to poop. Lulu's backyard isn't quite ready to let her loose (in fact I discovered a gap in the fencing the first day we were in the house. So did Lulu. She almost went on an adventure). Now, if you can get your dog to just walk outside and use the bathroom, you are a lucky person. Lulu doesn't do that. Lulu has to sniff everything. I have never been able to get her to just poop and go. So it requires patience, and taking a little time. But it may also involve accidents. Let them explore -- under supervision. Lulu and Galadriel are loving their new space. They are exploring the pool area, the garage, all the rooms. But I don't let them explore all day long. Lulu and Galadriel have their own places in the house, places I don't mind getting messed up. I've got a big fence that keeps Lulu from certain parts of the house when I'm not there. I'd rather she poop on tile than carpet. Let them get comfortable. They are in a strange place, just like you. They are learning new things. Give them the attention you usually give them, and they will flourish. Galadriel sunbathes in the pool area. For more tips, check out this article from ASPCA, or this one from AARP. How many dogs have we heard of are so heavy that the owners can no longer take care of them? Perhaps Obie the Dachshund is the most famous -- a dachshund so overweight that his stomach dragged across the ground. 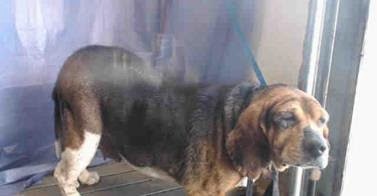 Then there's Dodger, a beagle who was surrendered by his owners to Orange County Animal Services in Orlando. Nine years old and very overweight. He was adopted by a nice couple, fortunately, who will put him on a diet. How does being overweight affect a pet? Much the same way it affects a human. Too much weight becomes taxing on joints and organs. Because it takes so much to move, pets may have extra trouble handling the heat, or breathing. This makes it tougher to stay active. These problems only get worse as they get older. But how does having an overweight dog affect you? 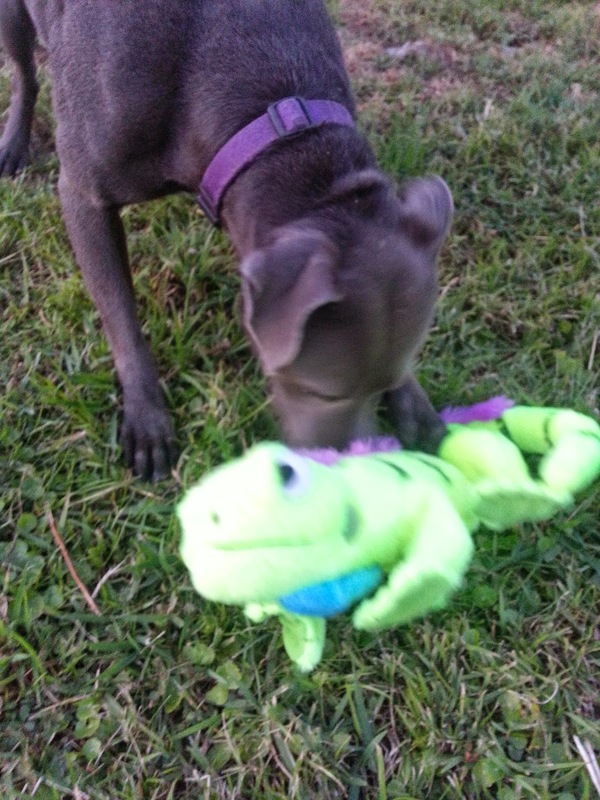 Can you play with a pet who can barely move and gets winded easily? Not really. You may find yourself taking extra time with them when they need to use the bathroom, or they need a bath. In some cases, you may find yourself over your head, like the original owners of Obie did. How many overweight dogs and overweight cats ended up in shelters because their owners couldn't afford to care for them? Take a moment and watch this story. Bear, a dog up in Indiana, weighed 142 pounds and his family almost had him euthanized because he was so heavy he couldn't walk. This is how Hill's Prescription Diet Metabolic Advanced Weight Solution food changed his life. So how does Hill's Prescription Diet Metabolic Advanced Weight Solution food work? Hill's says the food works by essentially changing an animals metabolism so it acts more like that of a lean animal. In other words, it revs things up so that the pet can burn more calories, while also regulating their appetite. And even after your pet comes off the food, that change in metabolism remains. In Bear's case, he went from weighing 142 pounds to weighing 92 pounds. 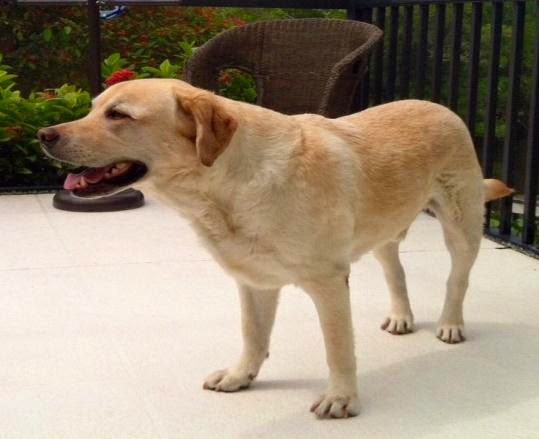 His owner said it was like gaining a friend, because he had more energy and felt better. Here are some more pretty amazing transformations based on dogs who tried Hill's Prescription Diet Metabolic diet for dogs. I think Romeo's case was the most amazing. 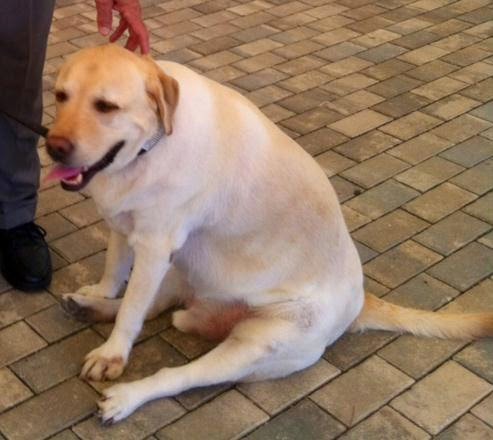 He's a nine-year-old Labrador retriever, and he weighed almost 180 pounds at the start of his diet. 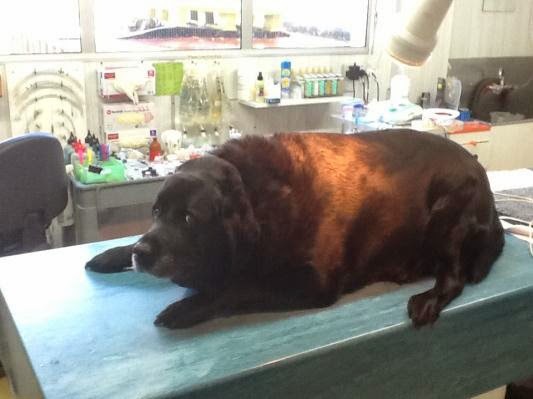 He was being cared for at the Cambridge Vets Wellness Team in New Zealand. At the end of 75 days, Romeo was down to nearly 160 pounds, and definitely looked like a happier dog. Now the family says he has too much energy! Rex is a Labrador retriever being treated at the Olde Naples Animal Wellness Center in Naples, Florida. At the start of his diet he weighed 106 pounds. After 120 days, Rex was down to 84 pounds, and his family was happy to have their "healthy, happy and high energy boy back." You know I had to add Suzie because she's a hound! Here's Suzie before. Note the tail is down. 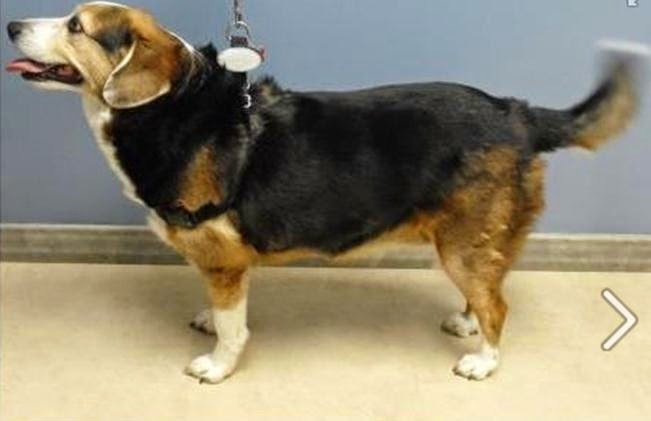 She weighs 82 pounds at the start of the diet. She was treated at Biddeford Animal Hospital in Maine. 120 days later, Suzie is down to 62 pounds. 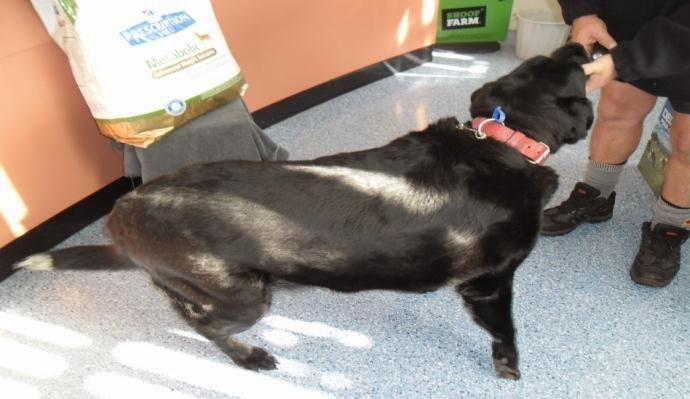 And I found this great picture of Suzie on Biddeford Animal Hospital's Facebook page that really shows the difference. The hospital said Suzie had to have her harness re-adjusted twice so far, and they are not yet at her ideal weight. As always, talk to your vet about the best way to help them lose weight. And talk to them about Hill's Prescription Diet Metabolic Food. Don't know if your dog needs to lose weight? Here some simple things you can do, according to PetMd.com. Pet your pet: As you run your hand across their side, you should be able to just feel the ribs without a lot of fat. Get a bird's eye view: Look from above. The area between the ribs and the pelvis should have a nice curve inward. The chest should be wider than their flank. Check for breath: How is your dog breathing when they walk or play? Are they panting a lot. If they didn't before, they may be dealing with a little extra weight. This post is sponsored by Hill’s. 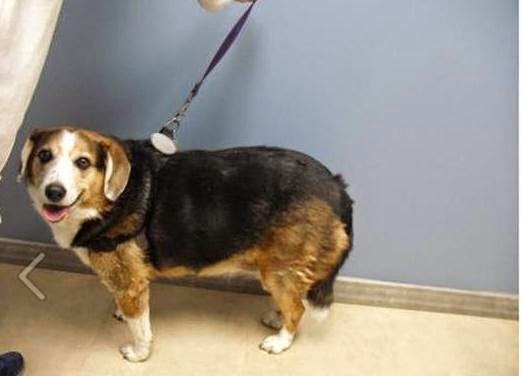 I am being compensated for helping spread the word about Hill’s Prescription Diet Metabolic Food, but Life With Beagle only shares information we feel is relevant to our readers. Hill's Pet Nutrition, Inc. is not responsible for the content of this article. Quaker Pet Group is one of the sponsors of the Lulu's Favorite Things Campaign, which raises money for Harbor House of Central Florida's Paws for Peace Walk. Please consider donating to our campaign here. The Paws for Peace Walk is Saturday, April 26 at 9 a.m. at Blue Jacket Park. Registration starts at 8 a.m. Please join Team Beagle! In the meantime, check out this product and enter our GIVEAWAY for two special toys. Raise a virtual paw if your dog destroys their toys? Lulu destroyed toys when she was young. DESTROYED. But since she's matured the destruction has stopped. For the most part. This whale has a hole under a fin. This bunny ear was found recently. I have not seen the bunny, but I'm sure it's around somewhere. Lulu's platypus. Lulu adores her this thing. But she also gets crazy frustrated with it because she can't pull the squeaker out. It's a GoDog toy from Quaker Pet Group. 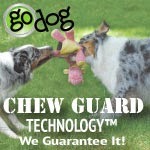 GoDog has Chew Guard Technology -- a tough mesh liner inside the toy, along with double-stitched seams. They are meant for dogs who are chew crazy. Think your dog can destroy a GoDog? They will replace the toy! One free replacement, guaranteed. This is Xena, and she is a champion chewer (she chewed an antler to a nub in a span of a week). Her mom gives her this goDog every once and while. As you can see -- still in good shape. You can find goDog toys at boutique pet shops, at Petco and on Amazon. RIGHT NOW, we are giving away two goDogs for one lucky person! The winner gets to choose what size and type they want! All you have to do is comment below -- what kind do you want! Head to the goDog site and check out the toys. Maybe you could get the Dragons, or the Crazy Tugs, which stretchable arms! Or maybe you find the Zombiez too funny not to get! This post is sponsored by Quaker Pet Group. I am being compensated for helping spread the word about Quaker Pet Group, but we only share information we feel is relevant to our readers. QPG is not responsible for the content of this article. 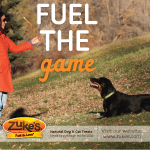 Jones Natural Chews is one of the sponsors of the Lulu's Favorite Things Campaign, which raises money for Harbor House of Central Florida's Paws for Peace Walk. Please consider donating to our campaign here. You know the old saying "give a dog a bone?" The time-honored tradition of the dog chewing on a bone at his master's feet hasn't gone away, though it's more of a treat than the main meal. Stripping a bone is actually good for a dog's teeth, and it's a great way to keep a dog busy. But rawhide is not the best thing for many dogs, and ESPECIALLY beagles. You have to worry about what kind of bone you give as well. That's why I like Jones Natural Chews, and they are up first in our Lulu's Favorite things campaign. It's not just Flea, JNC's quirky blogger that makes Jones great. Or her penchant for bringing chicks to conferences. These products are great, and Lulu loves them. Jones got its start as a family of butchers in the 1850s. But once Jones started offering to butcher and smoke the best cuts of meats for local farms in the 1970s, Jones also became a place to get great dog chews. After all, there's lots of bones and animal parts that would be thrown away otherwise. In 1988, some of the Jones kids got together and started expanding on those dog chews. 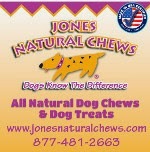 Today, Jones chews are USDA inspected, made in America and still family owned. So what kind of animal parts are we talking about? Lulu absolutely loves pig ears. I like the pig ear snacks because I can give her a piece of pig ear and as a high-value snack. She doesn't get all the calories, and but gets a bit of something to chew (because pig ears are pretty high calorie). Did you know? Many companies coat pig ears with a preservative. Sometimes it's glycerin. But that preservative can be a problem for beagles. I've even had some beagle people tell me it can cause seizures. So when Lulu had what I assumed was a seizure last year, I looked into this. Jones uses no preservatives. They coat the ears with fat when they bake them. That's it. Lulu's been eating them for months, and no problems! We also like these rib bones! But my favorites come with a special treat -- a piece of pig skin wrapped around. It's called a rib roller. Lulu has a stash of the bones under the recliner (kid you not). Every once in a while I hear her digging -- she's pulling a bone out to chew. She'll take a while to actually strip it and chew it, but she loves it when she does. Then there are the TaffySnapz! It's like candy for dogs. It comes in all kinds of flavors. These sausage sticks are beef, rye flour and salt. That's it! They've got other great treats too -- filled bones, lamb lungs, windees -- trachea, which Mom's dog Cappy loves. 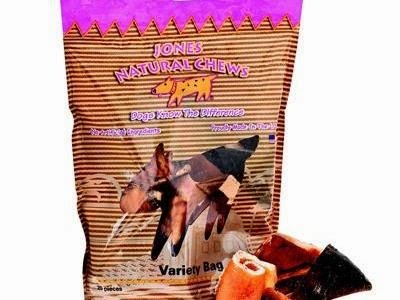 How do you get Jones Natural Chews? 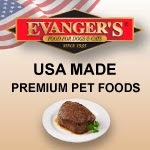 They are available in pet stores, on Amazon and on Jones' -affiliated treat shop website. BUT -- you can win some Jones Natural Chews right now! 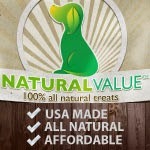 Here's an in-depth look from Jones Natural chews, with great info on each treat. To enter the giveaway, just fill out the Rafflecopter. The giveaway ends May 1, so hurry. This post is sponsored by Jones Natural Chews. I am being compensated for helping spread the word about Jones Natural Chews, but we only share information we feel is relevant to our readers. JNC is not responsible for the content of this article. As you know, we are raising money for Harbor House of Central Florida and its pet kennel for domestic violence victims. The Paws for Peace Walk is April 26 at 8 a.m. at Blue Jacket Park in Orlando. This year, I have formed a team! If you go to the secure Paws for Peace website, you can join my team and walk with me. It's a short walk, not even a 5K. And your dog can come too! And there will be a raffle, vendors and other activities too for afterwards! So if you are in Central Florida, please consider joining my team! Or if you can't make it, please consider donating to me. I have a low fundraising goal. Just head to my personal page -- Team Beagle! The site takes you to Harbor House's page. It's powered by Kintera and is a secure server. As part of our fundraising efforts, we've launched Lulu's Favorite Things! Each week, we'll profile a company that has helped us and produces products we love. These are sponsored campaigns, and half the proceeds from these sponsorships goes to Harbor House. Here are three great companies who are taking part in the campaign! AND -- We have giveaways too! And don't forget! 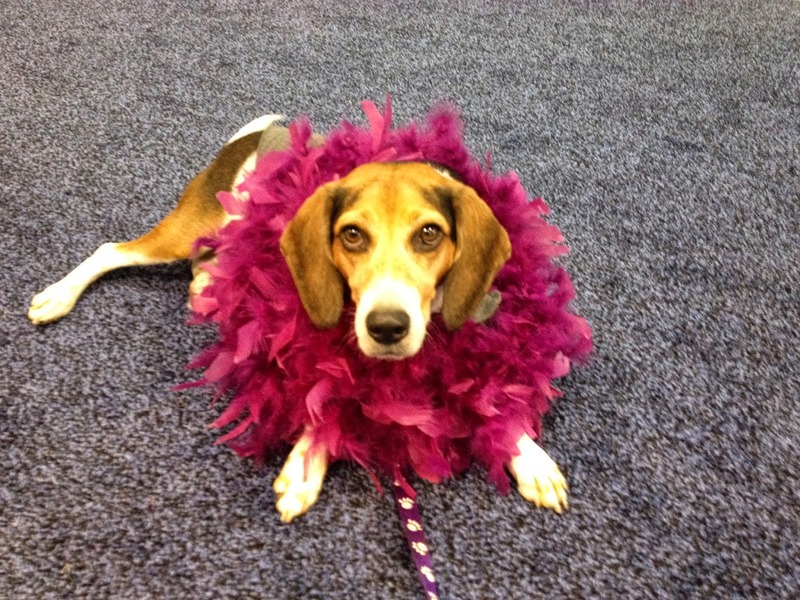 If you can't donate or join our team, you can still Help Team Beagle! Harbor House is hosting a Paws Photo Contest! Lulu is entered in the contest. If you are on Facebook, please head to this link and vote for her daily! April is Prevention of Cruelty to Animals month, sponsored by ASPCA. 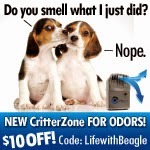 Here at Life With Beagle, we are committed to making the quality of life better for people and for pets. In a moment we'll tell you how you can help us with this endeavour this month. Do you know how to prevent animal abuse? Know who to call to report animal cruelty. Every state and every town are different. In some areas, you may have to rely on the police department to investigate animal cruelty; in others, you may have to contact local animal control or another municipal agency. If you aren't sure where to report cruelty, please visit our Report Animal Cruelty section. Get to know and look out for the animals in your neighborhood. By being aware, you're more likely to notice, for example, that the dog next door who was once hefty has lost weight rapidly—a possible indicator of abuse. Make the call. Without phone calls from concerned citizens who report cruelty in their neighborhoods, we wouldn't know about most instances of animal abuse. It all comes from the public, it all starts with YOU—that's why it's so important to keep your eyes and ears open. Provide as much as information as possible when reporting animal cruelty. The details that you provide can go a long way toward assisting an investigating officer. It helps to write down the type of cruelty you witnessed, who was involved, the date of the incident and where it took place. Contact your local law enforcement department and let them know that investigating animal cruelty should be a priority. Animal cruelty is a CRIME—and the police MUST investigate these crimes. Fight for the passage of strong anti-cruelty laws on federal, state and local levels by joining the ASPCA Advocacy Brigade. With stronger laws come tougher penalties. As an ASPCA Advocacy Brigade member, you'll receive emails asking you to write letters encouraging your legislators to pass these laws—and you can send them directly from our website. Set a good example for others. If you have pets, be sure to always show them the love and good care they deserve. But it's more than just food, water, and adequate shelter. If you think your animal is sick, bring him to the veterinarian. Be responsible and have your animals spayed or neutered. And give your pets lots of hugs! Talk to your kids about how to treat animals with kindness and respect. We regularly see children in homes where animal abuse has been reported. If a parent isn't treating the family's pets right, we tell the kids that their dog or cat would really appreciate fresh water every day or some daily playtime. If the animal has been left outside without shelter, we'll say, 'You have a nice house, and if you get cold, you can put a coat on. But your dog can't do that.' Children understand that animals are living creatures who have the ability to feel pain, joy and sadness. Support your local shelter or animal rescue organization. It's a great way to make a difference. Some of our ASPCA volunteers foster animals who have been abused in their former homes, giving these dogs and cats the chance they deserve to have a good life. You can find a list of shelters and rescue groups in your area in our National Shelter Directory. Start a Neighborhood Watch Program. Get to know the animals in your neighborhood and invite your friends and neighbors to do the same. Together you can keep an eye out for any suspicious behaviors—abuse and neglect of companion animals, the mistreatment of local wildlife, dogs left in hot cars and other signs of abuse. In our continuing commitment to supporting the human-animal bond, we are once again raising money for the Paws for Peace Walk. Harbor House of Central Florida has a state of the art, on-property kennel for the pets of domestic violence victims, all paid for with private donations. Up to 48 percent of domestic violence victims delay leaving a dangerous situation because they don't want to leave their pets. Meanwhile -- if you can't donate or join our team, you can still Help Team Beagle! Harbor House is hosting a Paws Photo Contest! Lulu is entered in the contest. If you are on Facebook, please head to this link and vote for her daily!